Land forces will mainly exercise in southern Norway, while air forces will fly above the Arctic Circle from the airports Kallax, Rovaniemi, Bodø and Andøya. More than 50,000 soldiers from 31 countries participate when NATO’s largest military exercise in Norway since the 1980s kicks off on October 25th. It will last until November 7th. Trident Juncture is a war game where the «Northern Forces» will play against the «Southern Forces» - primarily on land in central and eastern Norway. The northern and eastern boundaries of the pre-defined exercise area is about 900 km from the border to Russia. For Norway not to provoke its eastern neighbor, keeping NATO exercises away from Soviet/Russia border has been a tradition all since Norway joined NATO as a funding member in 1949. Air forces, however, will operate from airports in the north, off which Finland’s air base in Rovaniemi is some 150 kilometers from Russia’s militarized Kola Peninsula. «In addition to Finnish aircraft, also US Air Force F-15C fighters, KC-135 air-to-air refueling aircraft and Belgian F-16 fighters will be flying from Rovaniemi,» reads a press-release from Finland’s Defence Command. Finnish Air Force will itself participate with 9 F/A Hornet multirole fighters and approximately 160 personnel. Five of the Finnish aircraft will fly from Ørland air base in Norway, while four will fly from Rovaniemi air base. Additionally, 2,400 personnel from Finland will exercise in Trident Juncture. That includes an infantry company, an amphibious task force, naval and coastal troops in addition to the air force. From Kallax air base (Luleå) in northern Sweden, U.S. air force F-16 fighters will operate. 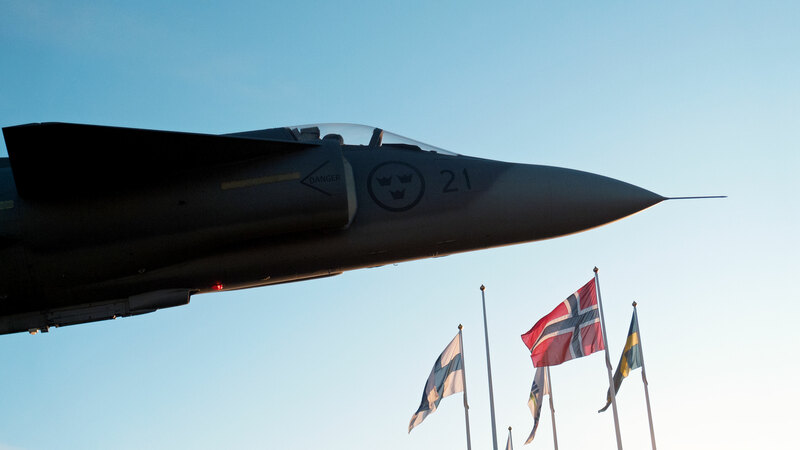 Sweden participate in Trident Juncture with about 2,200 soldiers, of which 100 belongs to the air force. In northern Norway, planes will operate from both Bodø and Andøya air bases north of the Arctic Circle as well as Ørland and Gardermoen airports. The Norwegian armed forces write in an information bulletin that air forces will support the land forces in the field exercise area. Sweden and Finland are the two only non-NATO countries of the 31 participating. 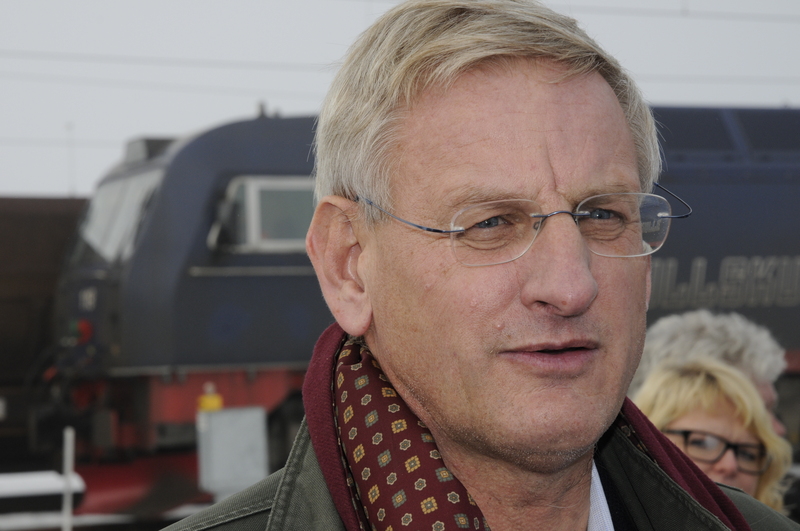 Bildt was Foreign Minister from 2006 to 2014 and Prime Minister from 1991 to 1994. He says Sweden will continue to move closer to NATO. «Joint exercises will lead to deeper operational alignment and the establishment of common deterrence capabilities for all of Northern Europe and the Baltic Sea. 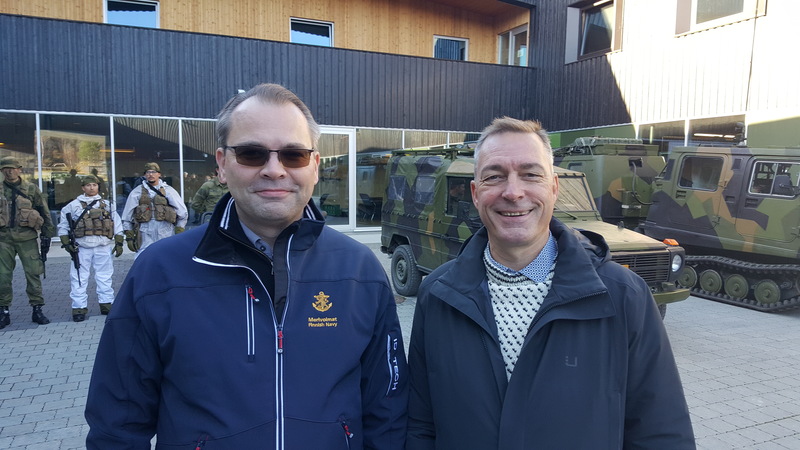 A part of the maritime activities during Trident Juncture takes place in Skagerrak and the Baltic Sea. It is Finland who leads the Baltic Sea naval exercise part, while a Swedish-led brigade, also including Finnish soldiers, joins the on-land war game in Norway. Interviewed by the Barents Observer earlier this autumn, Finland’s Defense Minister Jussi Niinistö praised Nordic military cooperation and said the security situation in Europe has changed after Russia’s annexation of Crimea. But like the Norwegian Defense Minister, neither Niinistö feels any direct military threat from Russia.